Taiwan will elect a new president and parliament on January 16. 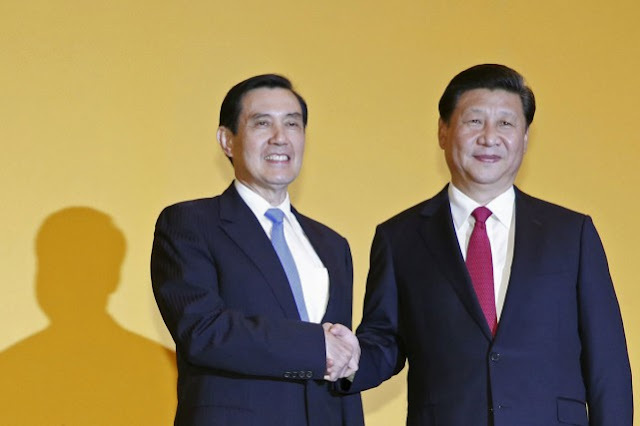 The current President Ma Ying-jeou (馬英九), from the Nationalist party (Kuomintang, KMT, led by Chiang kai-shek 蔣介石 before his demise in 1975), will complete his second term in May. During the eight years President Ma has been in power, he has focused on improving relations with China, and achieved the most cordial terms since the end of the Chinese civil war in 1949. But since Ma cannot run again after serving the maximum of two terms, there are three fresh presidential candidates ducking it out in Taiwan. Tsai has a master's degree from Cornell Law, and a PhD in Law from the London School of Economics. So far, she was top of the last opinion poll at 45.2% last Tuesday before a polling blackout begins ahead of the Jan. 16 elections. Tsai previously served as DPP chair from 2008 to 2012 and is no stranger to a presidential campaign. She was the DPP's presidential candidate in 2012 before losing to Ma Ying-jeou (馬英九). Chu is the chairman of KMT and the current mayor of New Taipei with a master's degree in Fiance and a PhD in Accounting from New York University. Chu declared his candidacy very late (in October, about 3 month before the election) to replace Hung Hsiu-chu at the last minute. This unusual debacle came as the KMT party miscalculated thinking it would be better off with a female candidate to run against the more popular female candidate Tsai Ing-wen from the Democratic Progressive Party (DPP). Unfortunately, Hung Hsiu-chu does not have the support base like Tsai and had been unpopular with voters, trailing badly in opinion polls. This last minute switch of candidate looks bad for the KMT party but also increases the odds of a complete loss in the presidential and general election. 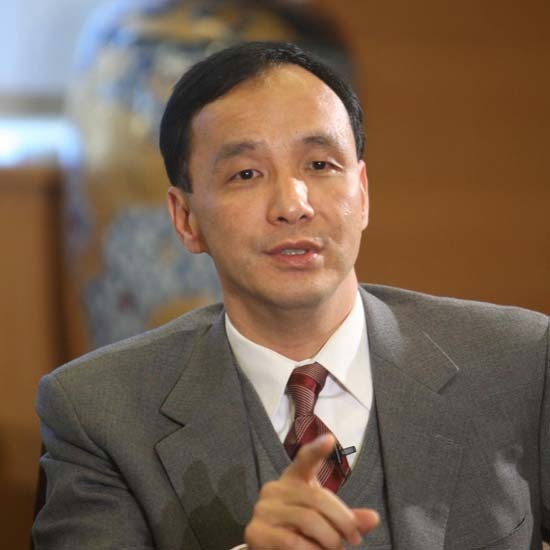 Soong has a Phd in political science from Georgetown University and is the founder and chairman of the PFP, part of the the KMT-led Pan-Blue Coalition. Soong was a KMT senior official before he left the party to run as an independent in the 2000 presidential election. Many has blamed Soong's departure splitting the votes supporting KMT which resulted in KMT's defeat in the 2000 election. He ran again in 2004 as Vice President to Lien Chan. The pair lost narrowly to the Chen Shui-bian (陳水扁) from DPP seeking a second term. Now 73, Soong is at it again dividing the KMT's support and sympathetic base. Not that it makes much of a difference as both KMT candidates fell miserably behind in the poll behind the DPP's Tsai. The liberal DPP had its shot at running Taiwan. Chen Shui-bian, the party's former Chairman, won both the 2000 and 2004 presidential elections. During his two terms, the popularity of Chen and DPP sharply dropped due to alleged corruption within his administration. Chen was later convicted, along with his wife, on two bribery charges and was sentenced to 19 years in Taipei Prison. Tsai Ing-wen, the DPP current presidential candidate, is one of the very few highly educated DPP members and has been credited with picking up the pieces restoring DPP's credibility and image after Chen's scandal. Wang later spat out the document and tore it up after opposition lawmakers failed to get her to cough it up by pulling her hair. 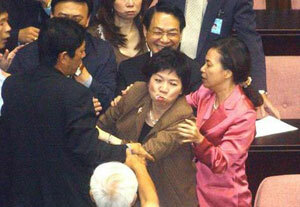 During the melee, another DPP woman legislator, Chuang Ho-tzu, spat at an opposition colleague. "Violence Is Normal in a Democratic Society"
Tsai Ing-wen was dubbed by Time magazine cover as the one that could "lead the Only Chinese democracy". However, during a lecture at Harvard University in 2011, when asked about why DPP seems to use violence as a tool to gain political power, Tsai's reply won a round of applause and laughter when she said "Your definition of violence in a democratic society, that seems to be normal when you speak louder." (Youtube here, English starts at 0:49). I don't think I need to waste more writing on how DPP has gone above and beyond simply "speaking louder", and Tsai of all people knows it, which I think is why she dodged and made light of the question. That actually makes me queasy as she seems to endorse handling conflicts in a country bumpking style. DPP's liberal view has gained a grassroot massive support base in the youth, farming and working class, which is evidenced by Tsai's overwhelming lead in the poll. Nevertheless, political views aside, judging from DPP's conflict resolution skill, I personally have much reservation about how DPP could bring more progress and achieve true democracy as many seem to believe. DPP has long held the position of pro-independence regarding Taiwan's status and wanted to sever all ties (historic, cultural, economic, etc.) with Mainland China. But this time around, DPP and Tsai is signaling a more pragmatic approach. 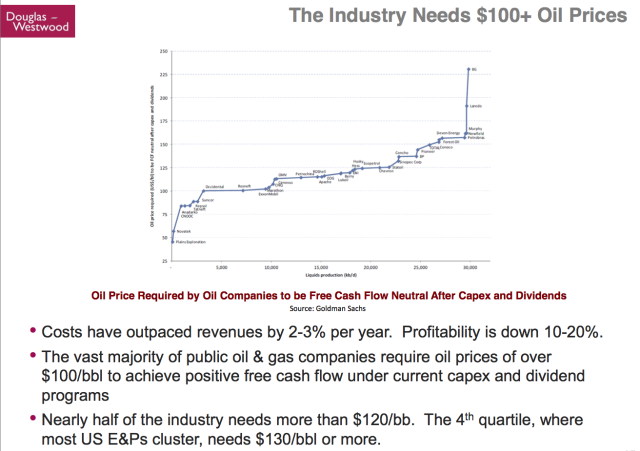 "We want to maintain the status quo. We want to maintain the current democratic way of life," says Joseph Wu, Tsai's No. 2 and the DPP secretary. Based on DPP's history, I have serious doubt DPP would be contend with "status quo" regarding the cross-Taiwan-Strait relationship with China achieved by the KMT and Ma Ying-jeou (馬英九). Will DPP Cross China's Bottom Line? Even though Taiwan has its own military, foreign diplomacy and government services, Mainland China sees it as nothing more than a renegade province, and has threatened many times to overtake the island by force. China's stance has softened quite a bit in recent years partly due to President Ma's effort; however, an independent Taiwan remains the final "bottom line" not to be trifled with. Between the KMT and DPP, China would rather deal with the KMT. Leaders in China actually have as much to lose as the KMT with an unprecedented win by the liberal DPP. To show support to the KMT and also send a message to DPP, president Xi Jinping of China met with president Ma Ying-jeou of Taiwan in Singapore in November, 2015 (aka 2015 Xi-Ma Meeting, although Taiwan calls it Ma-Xi Meeting). This is the first time the leaders of China and Taiwan met in more than six decades, and Singapore was chosen as a neutral ground. China has its own economic problems and authorities recently had to make a move to stablize currency, buy share, suspend circuit-breaker. 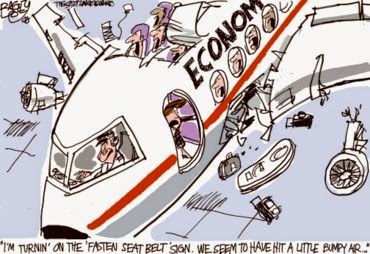 Meanwhile, Taiwan's export-oriented economy is currently in recession sharing the pain from China marred by near-zero growth, stagnant wages and rising prices. 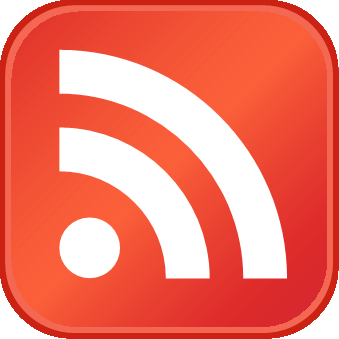 There's also the looming threat of an energy shortage, low domestic investment and overdependence on China, according to a new report by the the US-China Economic and Security Review Commission. 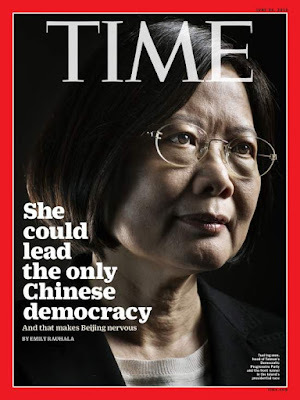 Tsai is now regarded as a virtual shoe-in to win in the 2016 presidential election while DPP is expected to sweep the majority in the parliarment as well. This suggests Taiwan could revert back to a one-party political system with its own political, social and economic implications. Needless to say, things will also get ever more complicated and tricky between China and Taiwan. The sucess of both administrations depends on how their economic policies could turn things around for the Chinese people in Mainland China and Taiwan. So perhaps neither would have much time and energy to make good on their previous political rhetoric.